Carson Dellosa recently sent me a couple of products to try out in my classroom. Both focus on Differentiation and Stem. I excitedly added them to my lesson plans in October. 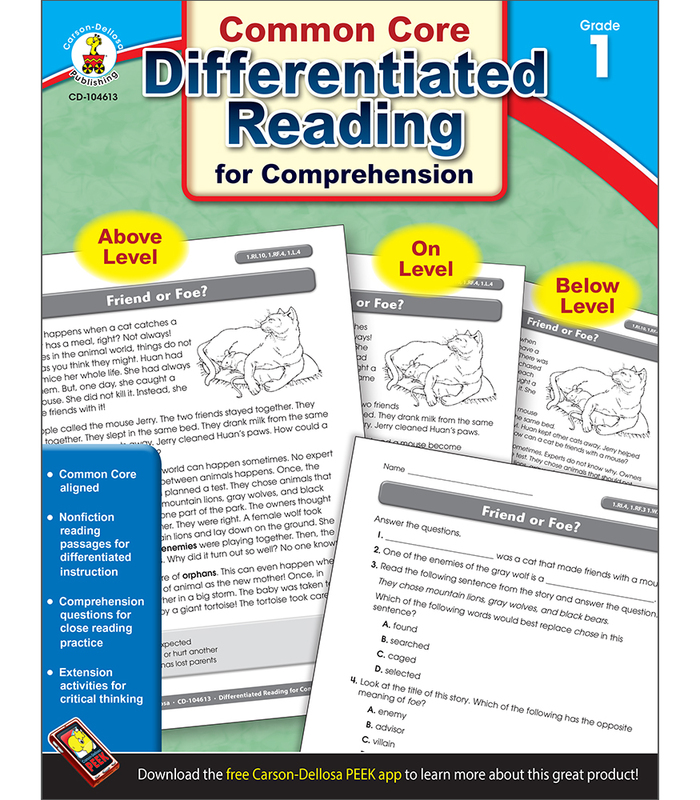 The Differentiated Reading for Comprehension Resource Book worked as a great change for my guided reading groups. However, I must add that the text is far too difficult for most of the children and the support they need (even with the below level text) is a little excessive. I feel it’s best to use this text during the latter months of the school year. I appreciated the differentiated text on the same subject matter. It allowed me to keep cohesive content within my groups while providing a deeper learning experience for my advanced kiddos. Each text is offered in advance, on level and below level pieces. I appreciate that although the text is extensively complex, it provides meaningful context. The passages are clear with very little graphics. There are a variety of answer types: multiple choice, fill-in, true/false and the very important short answer which cover main ideas, details, text features, author’s purpose and comprehension. The non-fiction passages within this resource are aligned with grade level specific common core standards and provide interesting, engaging information. Check out this visual look into all the differentiation this resource has to offer! I also received a book about STEM – aligned with 1st grade standards. One of my weaknesses is incorporating STEM activities. I love that the activities outlined in this resource are easy to prepare and quick enough to fit into my weekly plans. This little book is filled with 30 different activities to help engage the imagination of kiddos while developing planning and communication skills. The hands on activities are not too complicated, but fun. It encourages kiddos to use higher level thinking to solve problems while collaborating with their peers. I am super excited about incorporating more STEM activities into my lessons. 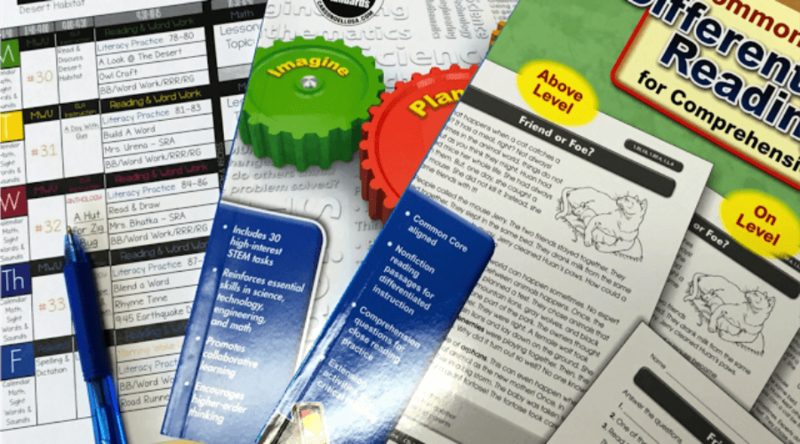 The activities this resource provides are a perfect “jumping off” point for those teachers who want to begin incorporating STEM, but not sure where to start. Check out this visual look into much of what this resource has to offer. The part I like best about both of these resources in they are SIMPLE and EFFECTIVE. Review Disclaimer: I participate in the Brand Ambassador Program for Carson-Dellosa and have received these products for free to review. These are my honest opinions.